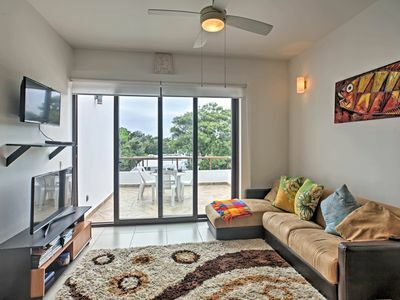 Typically Arco two bedroom condos range from $700-$800 plus a night during Christmas and New Years Holiday. OTHER DATES AVAILABLE - email to confirm your requested dates are available before booking. Call or email for more information. 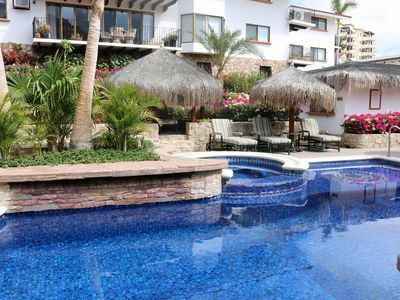 Request dates as soon as possible because Villa del Arco is in high demand. 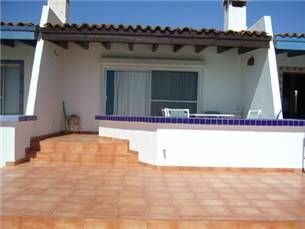 Close to Cabo, and only a 10-15 minute walk to downtown. 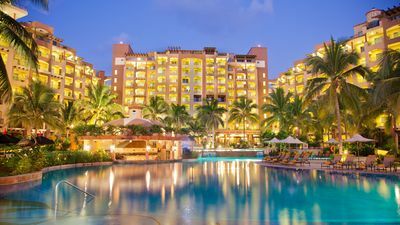 This is a 2 bedroom Elite Member time share. 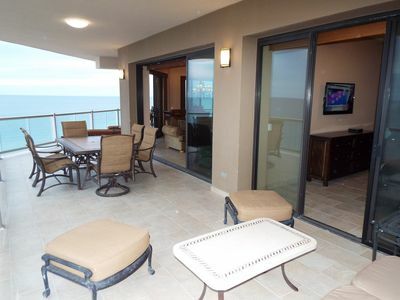 Elite Members are scheduled for the most exclusive rooms with the best views available, normally an ocean view. Express check in process with Elite concierge service. Late Check in/out based on availability. Room Amenities – Bath Products, bathrobes & sleepers, coffee Service, etc. Complimentary Internet Access – Multiple Devices. Complimentary Flowers & Fresh Fruit in Suite Upon Arrival. Deluxe retreat on calm swimmable Medano beach. There are beautiful views of El Arco, Cabos dramatic rock arch. 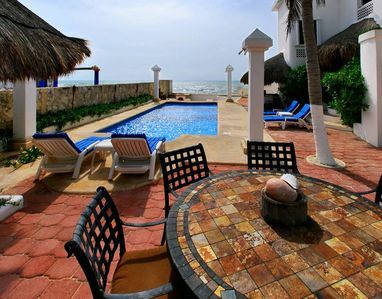 Enjoy the multitude of hot-tubs, pools with waterfalls and a full sized Spanish Gallion replica. 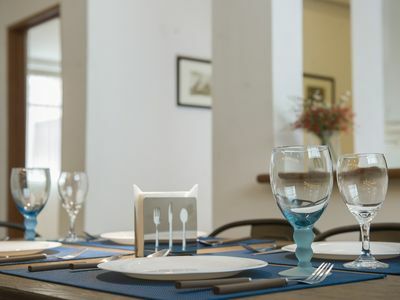 Choose from a multitude of restaurants and bars ranging from casual to deluxe. 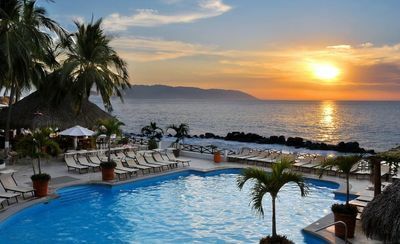 You can also opt for an all-inclusive option for all or part of your stay at an additional charge. 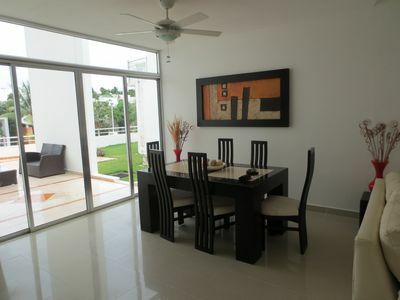 The two bedroom is stunning with marble floors, kitchenette and furnished balcony overlooking the pool or lush gardens. It will accommodate 6 Adults. 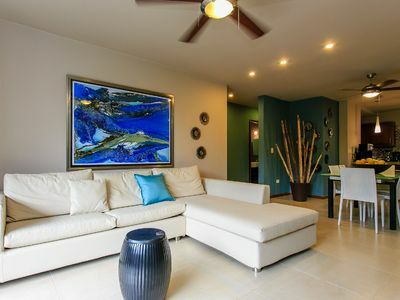 Your Two Bedroom Villa Suite combines a deluxe studio with a one bedroom suite to give you three bathrooms, two walk-in showers, one bathtub/shower and a whirlpool tub in the master bedroom. This is a perfect option for families or couples traveling together as the master bedroom features a king-size bed, while the second bedroom features either two queen-sized beds or one king-size bed. There's also the convenience of a queen-size Murphy bed in the living room, a fully-equipped kitchen, washer/dryer and plenty of room to stretch out. 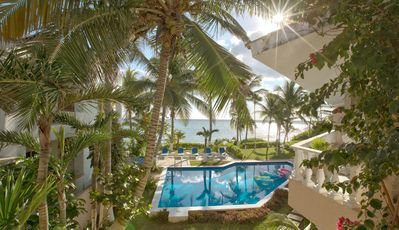 Garden or ocean views can be enjoyed from your balcony allowing you to start your day with a refreshing sunrise breakfast. The 31,000 sq. ft. spa and fitness center is out of this world. 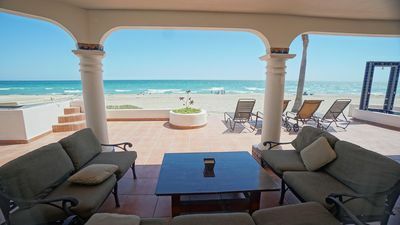 A custom 4BR/4BA home plus 1BR/1BA guest house just steps from the sand & sea.